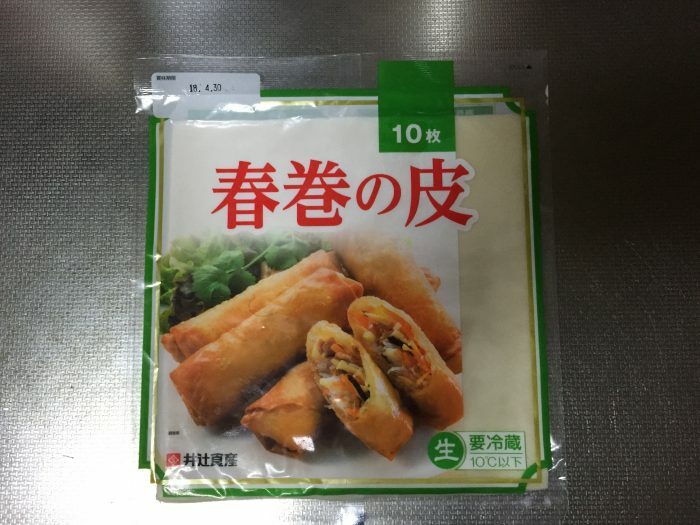 pack of Spring Roll skin (square pieces). 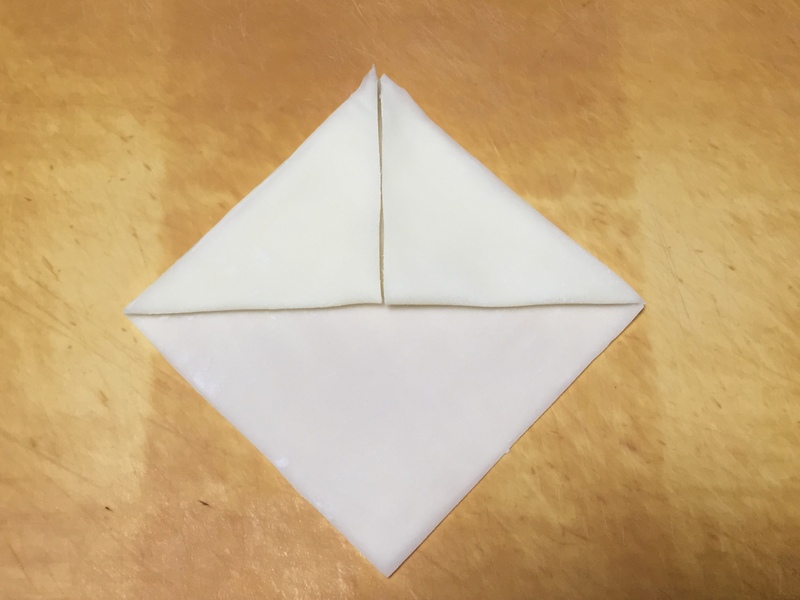 1.Take one square piece of Spring Roll skin and make it into a triangle in such a way by folding it in half. 2.Place the triangle such that it is pointing down. Take the other two corners and fold them towards you down in such a way as to join with the one that points down. 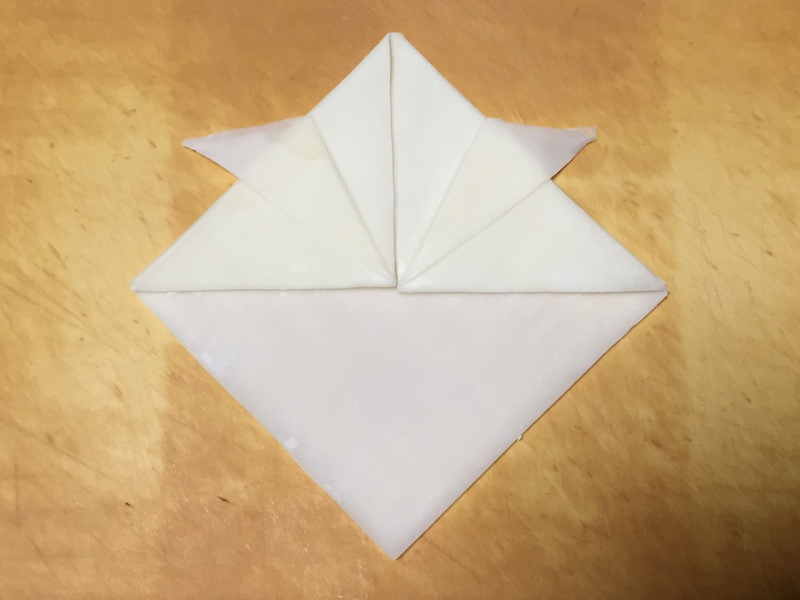 The end result is now a diamond shape with two triangle flaps facing downward that meet at the center. 3.Now, imagine that there is a horizontal imaginary line that cuts from the left corner of your diamond to the right corner of your diamond. 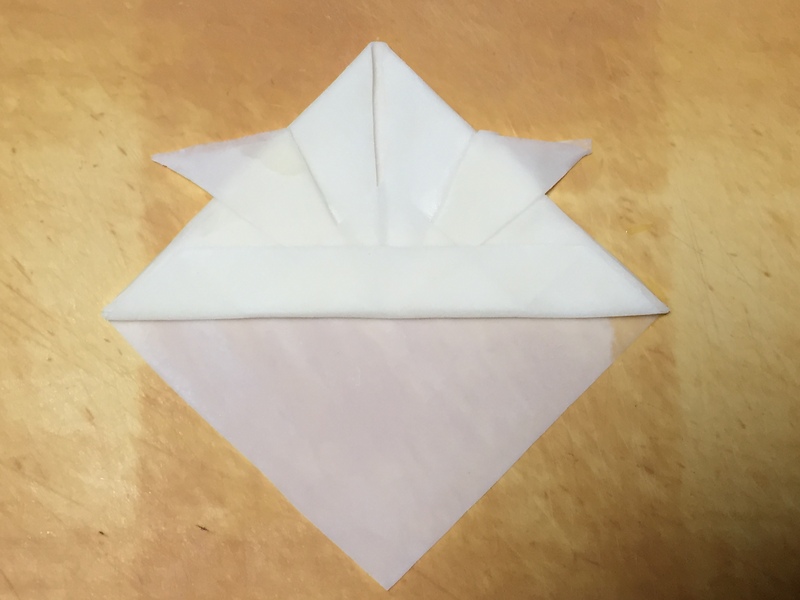 Take each flap that is facing downward and fold them back up such that the fold crease sits along this horizontal imaginary line. The two flaps (now looking like triangle flaps) will now point up and be flush with the top center corner of your diamond. 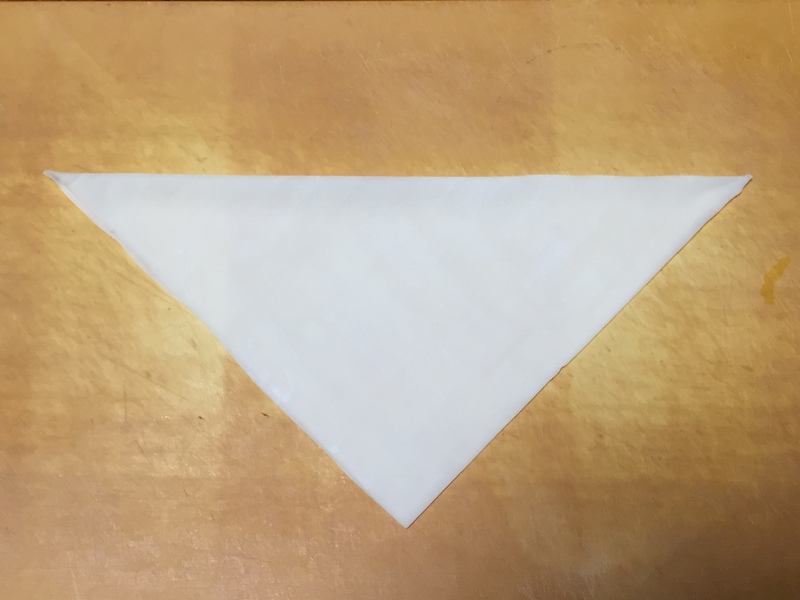 4.Now, take these two triangle flaps and fold it towards you down in such a way that it bisects itself. What you will end up with is the crest-like shape similar to that of a crest on a Samurai helmet. 5.Use the food adhesive you made and place it behind these crest-like flaps to keep it in place. 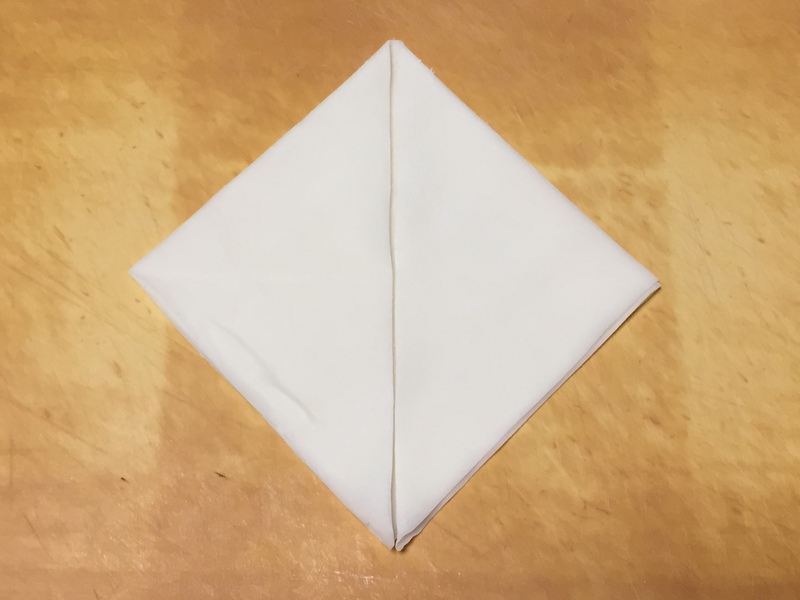 6.Now, take the first bottom corner half (below the horizontal imaginary line mentioned in #3 above) and fold it up such that the fold is about 1/3 below the imaginary horizontal line. 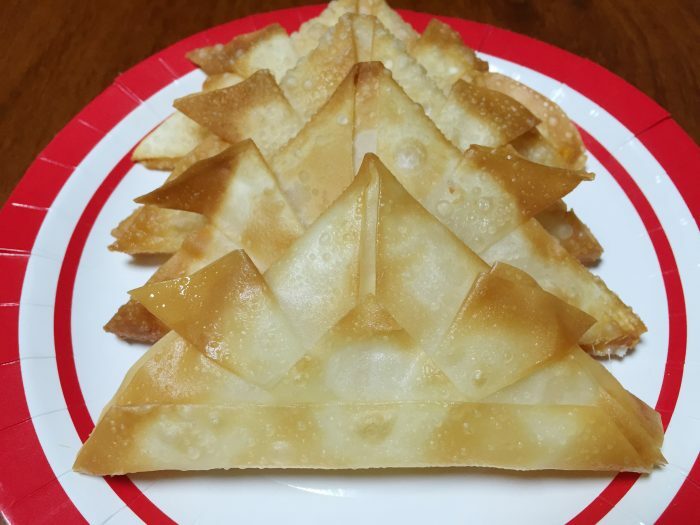 The point of this flap should be in the center and now facing up. 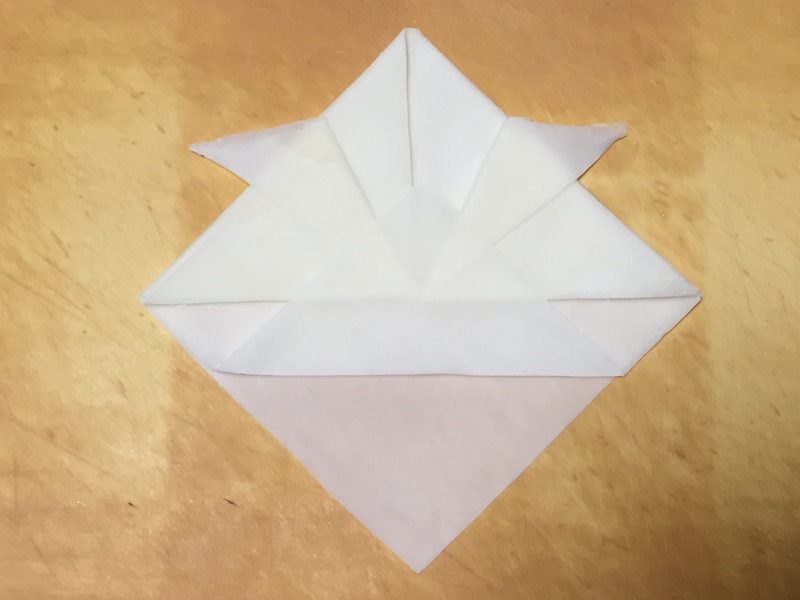 7.Now you will fold the flap again from the bottom such that the fold crease aligns itself with the horizontal imaginary line. Your Samurai helmet is forming into shape. 8.Now take the remaining bottom flap (the bottom corner of your diamond and fold it inside the pocket. Your Samurai helmet should be formed now. 9.Put sliced cheese or any ingredients to the pocket and seal it with the food adhesive. 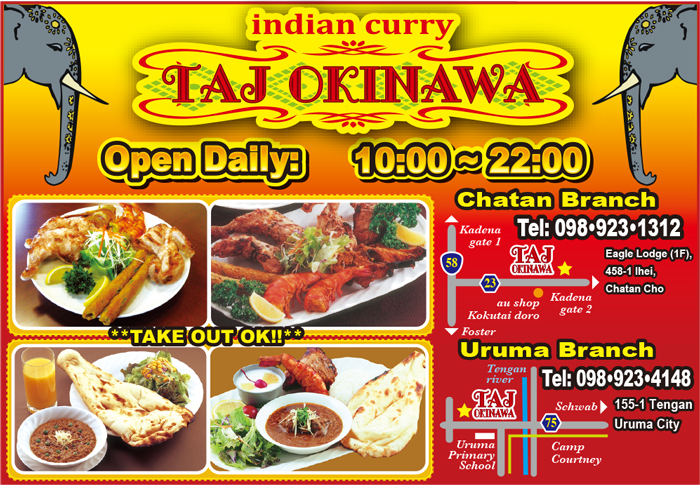 Cook them with 180 degree oil in a pot. 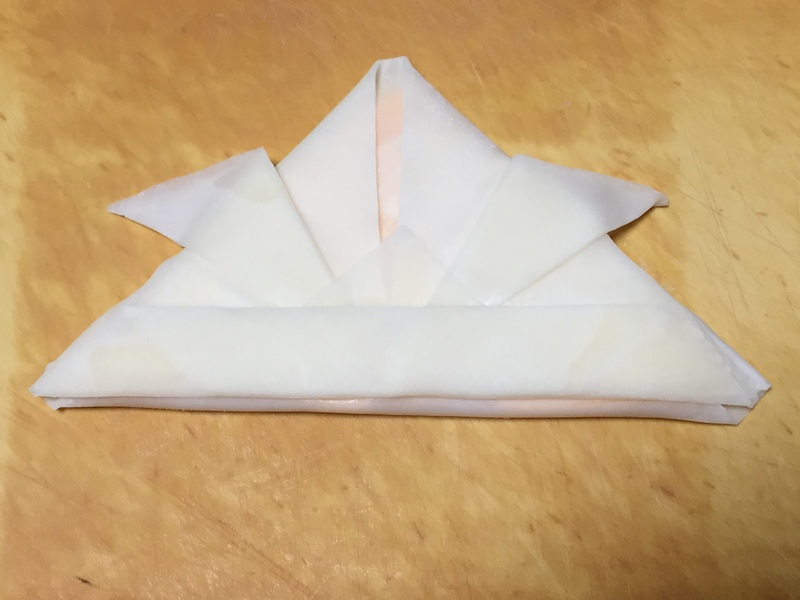 Please check the guidance from below link which shows how to hold the Kabuto by Origami in English.